Transfers, sightseeing and surface transportation by car as mentioned in the itinerary. All applicable taxesAny airfare / train fare. 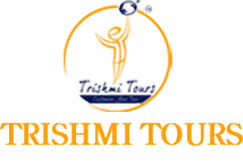 All items of personal nature, mineral water, cold drinks, optional tours, insurance, tips, laundry and telephone charges. Arrive Jaipur - the ‘pink city’ which has been the capital of erstwhile Jaipur state since its inception in 1727 ad, it was founded by Sawai Jai Singh II. It was dressed pink in 1876 when prince Albert, consort of Queen Victoria, and earned the epitaph ‘pink. Check in at Hotel Mansingh Towers / Similar. Day free for rest and leisure activities. Overnight at Jaipur. After breakfast proceed for sightseeing tour which includes Amber Fort, Hawa Mahal (Palace Of The Winds), and the Jantar Mantar Observatory. Overnight at Jaipur. After breakfast proceed for Bikaner (approx 6 hrs drive). Arrive and check in at Hotel Gajner / Similar. Then proceed for sightseeing tour visiting Junagarh Fort, Lalgarh Palace and camel breeding farm. Overnight at Bikaner. After breakfast proceed for Jaisalmer (approx 7 ½ hrs drive). Arrive and check in at Hotel Rang Mahal / Similar. Rest of the day free for rest and leisure activities. Overnight at Jaisalmer. After breakfast proceed on a full-day sightseeing tour of Jaisalmer visiting the Fort, Manek Chowk, Patwon – Ki – Haveli and Gadisar Lake. Afternoon drive to Lodrava – an important Jain pilgrimage. Drive on sand dunes to see sunset. Overnight at Jaisalmer. After breakfast proceed to Jodhpur (approx 8 hrs journey). Arrive and check in at Hotel Hari Mahal / Similar. Overnight at Jodhpur. After breakfast proceed for Udaipur(approx 6 ½ hrs drive). Arrive and check in at Hotel Shiv Niwas / Similar. Rest of the day free. Overnight at Udaipur. 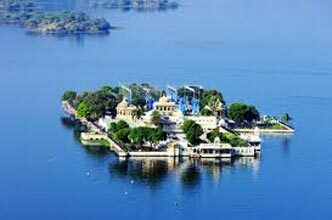 After breakfast proceed on a full-day sightseeing tour of Udaipur visiting City Palace, Jagdish Temple, Sahelion-Ki-Bari, Bharatiya Lok Kala Museum And Shilp Gram. Return back and check in at Hotel Shikarbadi / Similar. OVERNIGHT AT UDAIPUR. After breakfast proceed for Abu(approx 6hrs drive). Arrive and check in at Hotel Hillock / Similar. Day free for rest and leisure activities. Overnight at Abu. 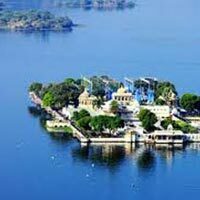 After breakfast proceed for sightseeing which includes a visit to Jain Temple, boating and beautiful sun set. Overnight at Abu. After breakfast proceed for airport for your onward journey. Tour ends.